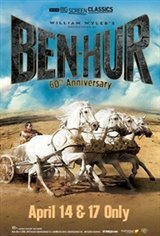 Fathom Events, TCM and Warner Bros. presents Ben-Hur returning to select theaters for a special 60th anniversary event! 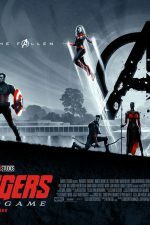 Experience the visual splendor, thundering action and towering drama of this record-setting winner of 11 Academy Awards® including Best Picture. Charlton Heston brings a muscular physical and moral presence to his Best Actor Oscar®-winning role of Judah Ben-Hur, a Jewish nobleman in Palestine whose heroic odyssey includes enslavement by the Romans, vengeance against his tormentors during a furious arena chariot race and fateful encounters with Jesus Christ. This event includes exclusive insight from Turner Classic Movies!